Producers have learned that if a label contains buzzwords such as “happy,” “free,” “humane,” or “animal welfare,” concerned customers will often buy their products (with higher prices) without actually understanding their practices. The result is a confusing proliferation of packaging labels pertaining to farmed animal welfare. But what do these labels really mean? 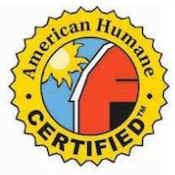 What is the difference between Certified Humane and American Humane Certified? What’s the difference between free-range and cage-free? Unfortunately, consumers who care about animals are being misled by deceptive marketing schemes. 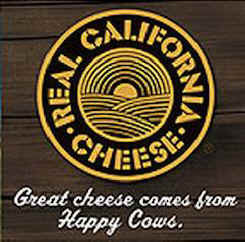 Producers have learned that if a label contains buzzwords such as “happy,” “free,” “humane,” or “animal welfare,” concerned customers will often buy their products (with higher prices) without actually understanding their practices. The result is a confusing proliferation of packaging labels pertaining to farmed animal welfare. But what do these labels really mean? Under USDA-approved welfare labels, farms and producers decide independently what practices they will call “humane.” The USDA merely verifies that the company follows its own arbitrary standards. Some private humane certification labels require third-party auditors to verify compliance with their standards, but even among these programs the term “humane” is not consistently defined or enforced. On the other hand, American Humane Certified permits debeaking, but does not allow ear notching and requires anesthesia for castration of some animals. Furthermore, not only do terms like “humane” and “free-range” mean different things to different producers; they also mean different things depending on the kind of animal. For instance, while free-range beef cows must have spent some time on pasture, free-range chickens commonly spend their entire lives crammed inside windowless sheds with thousands of other birds. The term “free-range” is not regulated by the USDA, except for use on chickens and turkeys raised for meat (which only requires “access” to outdoors). Its use for cows and pigs is neither regulated nor enforced. Often, free-range labels refer to animals packed into warehouse-style sheds with no access to the outdoors. This is far from the rolling pasture that the term “free-range” conjures in most people’s minds. All that is required for free-range labeling of poultry is that the birds have “access” to the outdoors for an unspecified amount of time. The layers of excrement and urine in which these birds are forced to stand, day after day, cause severe flesh and eye burns, and fill the air with so much ammonia that many birds suffer from respiratory disorders. Conditions on many free-range operations are so bad that most birds are not even aware of outdoor access, or they are too crowded, ill, or weak to move that far. Debeaking is standard procedure on free-range poultry farms. Free-range claims on eggs are completely unregulated. 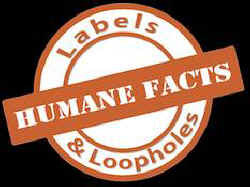 Cage-free labels refer to hens used for eggs and mean only that the chickens are not in cages. Cage-free egg-laying hens are typically crowded into windowless sheds or warehouse facilities, with thousands of birds on the floor and on stacked wire platforms, with little or no access to the outdoors and no room to perform natural behaviors. The ammonia laden air is so noxious that hens commonly suffer respiratory disorders, severe flesh and eye burns, and even blindness. Debeaking is routine and permitted. There is no third-party auditing. This Perdue brand of chicken meats uses “cage-free” on their labels to mislead consumers into believing they are more humane. 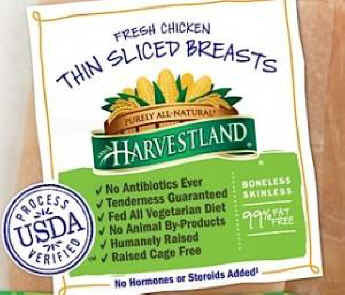 When cage-free labels appear on chicken or turkey meats (as shown in this photo of Harvest Land chicken meat), consumers are being deliberately misled. Even on factory farms, chickens and turkeys raised for meat are not kept in cages, but are severely confined indoors inside massive sheds. Cows raised for beef eat grass for at least the first six months of life, then most are shipped to crowded, barren feedlots and fattened (“finished”) on grain to reach slaughter weight more quickly. Some producers market feedlot-finished beef as higher priced grass-fed beef even though their cows are intensively confined for the last year or more of life. USDA certified grass-fed animals must have access to pasture from early Spring to late Fall, but may otherwise be confined to pens or sheds. All of the standard mutilations including castration, dehorning, and branding are permitted without pain relief under generic and USDA grass-fed labels. Hormones and antibiotics are also allowed. 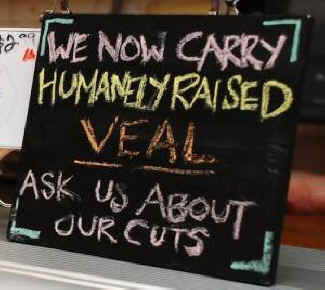 Unfortunately, virtually any producer can slap a “humanely raised” label on their animal product, which renders the term nearly meaningless. Even on higher welfare farms, the term is often used deceptively. That “or” is a loophole that means that Niman Ranch could get away with confining up to 100% of their pigs indoors. 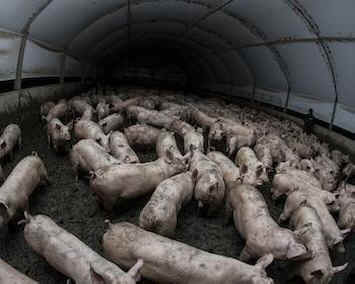 According to one writer, they currently confine around 75% of their pigs in warehouse-style barns with straw floors. The welfare of pigs not given access to the outdoors is markedly lower than that of grazing pigs, yet Niman Ranch enjoys the celebrated reputation of a “pastured pork” operation. 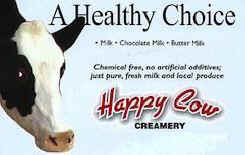 Despite all the feel-good labels to the contrary, happy dairy cows are a myth. 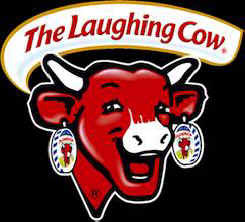 The basis of all dairy production is sexual violation and the destruction of motherhood. These are not overstatements. It is a matter of fact that in order to produce milk, female cows must be impregnated (usually via invasive artificial insemination), carry their babies for nine months (like humans), and give birth. Also inherent to dairy production is the separation of calves from their mothers in order for humans to take their milk. Many humane label farms remove the calves in the first hour, claiming that the longer mother and calf are permitted to bond, the more stressful the separation. Most calves spend their first 2 to 3 months of life in constant confinement in cramped, individual hutches, and never know the nurturing or warmth of their mother’s care. Regardless of farm type, male calves of dairy cows are sold to be killed for veal or cheap beef. When they are no longer optimally productive, dairy cows are slaughtered for cheap beef, usually around five years of age. 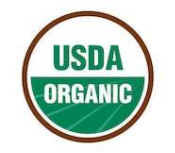 For animal products, the organic label mainly distinguishes animals raised without hormones and antibiotics, which are prohibited under organic standards. Animal feed must also be organic. Animals must have “access” to the outdoors, with cows, sheep and goats given some access to pasture, but the amount, duration, and quality of outdoor access is undefined. Organic standards do not provide protection against routine mutilations, severe confinement, rough handling, long transport, or brutal slaughter of animals. Tail-docking, dehorning, debeaking, and castration without painkiller are all permitted. 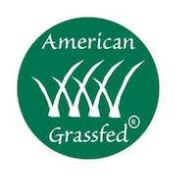 While the USDA’s grass-fed label allows for confinement of animals, American Grassfed Certification requires continuous access to pasture and a diet of 100 percent forage. Hormones and antibiotics are also prohibited. However, routine mutilations such as castration, tail docking, branding and dehorning are all permitted without pain relief. No standards are in place regarding the treatment of breeding animals, animals during transport, or animals at slaughter. One of the worst certified labels. Access to the outdoors is not required for any animals, and indoor space requirements are the lowest of all the main humane certification programs. AHC is the only third-party audited welfare program to permit cage confinement of egg hens. The killing of male chicks, debeaking, and tail docking without pain relief are permitted. Some standards extend to the treatment of breeding animals, animals during transport, and animals at slaughter. As proof of this claim, their website includes a useful chart comparing the various practices and provisions of each certified humane label. While there is bias in favor of AWA in the chart and guide, we include them here for reference. The AWI boasts that the AWA is the only USDA-approved third-party certification program, but as with other humane labels, egregious cruelties are still permitted. On the upside, animals have “access” to the outdoors and are able to engage in “some” natural behaviors. No cages or crates may be used, and growth hormones and antibiotics are prohibited. Debeaking is also not allowed. However, the killing of male chicks born to egg-laying hens is permitted, as are other painful mutilations performed without painkiller, including ear notching and castration. Standards include breeding, transport, and slaughter of animals. There is no requirement for outdoor access for birds used for meat, egg-laying hens, or pigs. However, minimum space allowances and indoor environmental enrichments are stipulated. 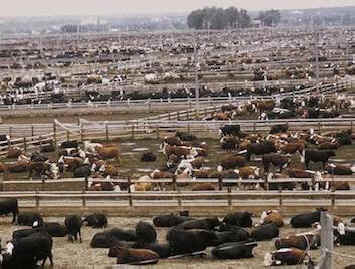 Feedlots are permitted for beef cattle. Killing of male chicks born to egg-laying hens is allowed. Debeaking of hens and turkeys, tail docking of pigs, dehorning of goats without painkiller, and rubber ring castration without painkiller are all permitted. Standards include the treatment of breeding animals, animals during transport, and animals at slaughter. GAP is a step-based rating program used by Whole Foods. Producers receive one of six ratings, from Step 1 to Step 5+. 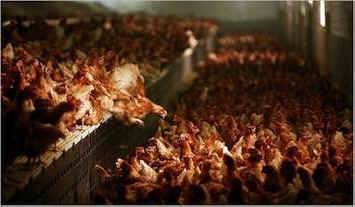 Step 1 permits industrial style (factory farm) confinement of animals and merely prohibits crates and cages. Feedlots are allowed for beef cattle through Step 4. Debeaking and tail docking are permitted through Step 3. Standards consider the treatment during transport, but not breeding or slaughter. Warning: this industry label is intentionally misleading. In reality, producers decide independently what practices they will call “humane,” and the USDA merely verifies that the company follows its own arbitrary standards. Under such a scheme, industrial producers running large scale confinement operations can simply submit their current practices as “humane,” and display the “Process Verified” and “humanely raised” labels. Read more about this marketing scheme here and here. 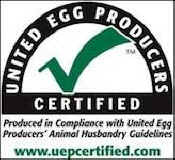 UEPC permits battery cage confinement of egg-laying hens and other routine inhumane factory farm practices. Hens in these barren cages have 67 square inches of cage space per bird (less than a sheet of paper), and cannot perform any of their natural behaviors, including perching, nesting, foraging, or even spreading their wings. Debeaking is permitted and routine. United States Department of Agriculture, Agricultural Marketing Service. Retrieved 11/5/2014. Consumer Reports, Greener Choices Food Safety & Sustainability Center. Retrieved 11/5/2014. “Colostrum Feeding and Management on U.S. Dairy Operations, 1991-2007,” USDA, Feb. 2009. Retrieved 7/21/2014.